In 2015, the Chattanooga region blazed the world&apos;s fastest Internet speeds, completed two of the biggest new investments in Tennessee history and revamped some of the city&apos;s iconic businesses while growing and starting others. The individuals who led such businesses — and did the most to influence Chattanooga &apos;s economy and commerce in the past year — are our Most Valuable Players in business for 2015. Our top 10 list of MVPs includes both seasoned veterans and young entrepreneurs and reflects the diversity of Chattanooga&apos;s changing economy. 2015 distinction: Doak&apos;s organization helped spur area tourism to major milestones in the past year with record tourism activity and plans for more Ironman events. Since Bob Doak became president of the Chattanooga Convention and Visitors Bureau in 2002, tourism spending has doubled in Hamilton County. In 2015, Doak helped lead the travel and visitor industry here past two major marks: It was the first year that Hamilton County booked more than 2 million hotel room-nights and the first year that the economic impact of tourism in the county topped $1 billion. The CVB also worked to recruit the Ironman Triathlon and other extreme sports to Chattanooga and encouraged Chattanoogans to vote online to make Chattanooga the two-time winner in Outside Magazine&apos;s Best Town title. Chattanooga defeated Port Angeles, Wash., with more than 52 percent of the final-round voting, winning by a 67,432-to-62,130 vote margin in the final round. "We are the first city to ever win this award twice," Doak says. Ironman and the Chattanooga CVB announced in September that the Scenic City will host the 2017 Ironman 70.3 World Championships, a marquee outdoor event that will bring an expected 4,000 of the world&apos;s best triathletes from nearly 100 countries in the latest leap forward for the city&apos;s outdoor persona. Chattanooga was chosen for the event over Lake Placid, N.Y., and St. George, Utah. Chattanooga had never hosted an Ironman event of any sort before September 2014. Its inaugural event received a 97 percent approval rating from competitors, second worldwide only to Australia. Now it is in line to be the first in a worldwide network of Ironman cities to host a 70.3 Ironman, a full-distance Ironman and the men&apos;s and women&apos;s 70.3 Ironman World Championships. "The overall impact, beyond the financial side, is that it continues to reinforce Chattanooga&apos;s name," Doak says of Ironman. "It continues to reinforce the brand of this city, and there&apos;s not many events I&apos;ll say that about." 2015 distinction: He led the completion of the largest private investment ever in a single Tennessee production plant. Dr. Konrad Bachhuber came to Bradley County, Tennessee, to oversee production of the $2.4 billion polysilicon plant for Wacker Chemical. Although the original plans for the Charleston facility were pushed back nearly two years due to a slowdown in American solar power growth coming out the Great Recession, the final plant design completed in 2015 was 60 percent bigger than first planned and is the biggest private investment by a company ever in Tennessee for a single project. Bachhuber was head of production for Wacker Chemical&apos;s operations in China before coming to the plant site outside Charleston, where Wacker will produce a key component for the growing market for solar power panels. Bachhuber, a chemist who has worked at Wacker for more than 25 years, was appointed vice president of Wacker Polysilicon in Bradley County. After receiving a chemistry degree and doctorate in physical chemistry in 1989 from the University of Regensburg, Germany, Bachhuber joined Wacker as laboratory manager at the company&apos;s Burghausen plant. In 1994, he progressed to plant manager for the central pilot plant and in 1998 was promoted to director of central chemical services and basic chemicals. In 2002, he was named director of production polysilicon and held that responsibility until 2006 when he was appointed vice president of production polysilicon. 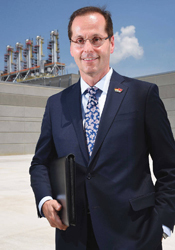 In 2009 through November 2011, Bachhuber was vice president of operations for Wacker Chemicals Greater China. Wacker will ramp up to 650 employees by early 2016 when the Bradley County plant is at full production, Bachhuber says. The Charleston plant will produce 20,000 tons of polysilicon annually at full capacity, Bachhuber says. The factory&apos;s start-up will take place in the second half of 2015, he said, and the plant chief sees "significant output" by year&apos;s end. The testing phase at the plant will be vital and a long process, Bachhuber says, to ensure that every valve is functioning. 2015 distinction: Posted record profits for the hospital, reversing years of losses, by attracting more physicians, patients and public support for Chattanooga&apos;s biggest hospital. When Kevin Spiegel took the top job at Erlanger Health System in 2013, Chattanooga&apos;s biggest hospital network had suffered cumulative losses of more than $36 million over the previous eight years and its cash on hand briefly dipped to such a low level that Erlanger was in technical default on its bonds. Despite such losses — or perhaps because of them — Spiegel immediately began talking about expanding Erlanger by building a new Children&apos;s Hospital, moving ahead with the expansion of Erlanger East and building up its residency program. In 2015, after recruiting more physicians and attracting more patients and public support, Spiegel&apos;s turnaround strategy began to bear fruit. The hospital booked a record $36.2 million profit last year and is boosting patient volumes even more this year. 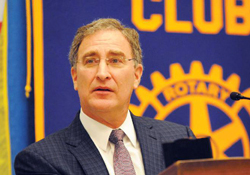 Spiegel joined Erlanger in April 2013 after serving over five years as CEO at Methodist University Hospital in Memphis, where he also served as an assistant professor in the College of Medicine and continues in that role today. Spiegel&apos;s experience and the financial turnaround at Erlanger prompted New York bond rating agencies Fitch and Moody&apos;s to upgrade their ratings of Erlanger. 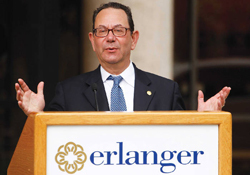 The improved assessment for Erlanger should not only help the hospital gain more credibility with doctors and donors, but also help lower the cost of future borrowing when Erlanger heads to the market to finance the planned expansion and upgrades at Children&apos;s Hospital and other Erlanger facilities. With profit back, Erlanger began its biggest building program in 20 years in 2015 — a $50 million upgrade of Erlanger East that will add 58 hospital beds in 2016, which the hospital projects will add $22 million to the bottom line over the next five years. Erlanger also added a fifth helicopter to its fleet of Life Force air ambulances with a new base at the Winchester airport this year and hired a new CEO of Children&apos;s Hospital to prepare for an even more ambitious building plans in the next few years. 2015 distinction: EPB launched the first citywide 10 gigabyte Internet service in the world, building on Chattanooga&apos;s "Gig City" brand to boast the new Innovation District created downtown and boosting national efforts to allow municipal broadband providers to expand their service territories. Five years after EPB created America&apos;s first "Gig city" with its citywide gigabit (1,000 Mbps) Internet service, the municipal utility shifted its ultra-fast broadband connection to an even faster lane with the addition of 10 Gig service throughout Chattanooga. Harold DePriest, the CEO of EPB for the past two decades, is leading the broadband race to stay ahead of telecom giants such as Google, AT&T and Comcast. At age 66, DePriest isn&apos;t about to slow down. DePriest, who joined EPB as as a junior engineer in June 1971 after earning an electrical engineering degree from Tennessee Tech, took over as president of Chattanooga&apos;s 170,000-customer electric utility in 1996 in an era when the entire organization was focused on power and was largely run by engineers. High-speed broadband grew out of those power roots when DePriest and his colleagues were looking for a better way to speed the response and recovery to keep the lights on after storms and accidents. A fiber optic ring to support a Smart Grid was developed to bring a more interactive and computer-driven approach to identifying and fixing power interruptions. 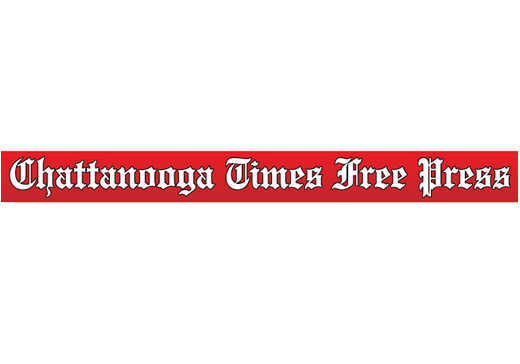 But those same fiber optic lines also opened up the possibility of a faster and more reliable telecommunications network in Chattanooga for faster Internet along with improved video and telephone services. DePriest brought his get-it-done engineering approach to telecom to secure federal funding and gain customer support to build a 600-square-mile fiber optic network that not only provides the fastest Internet in America but also makes money to help hold down electric rates. DePriest admits he doesn&apos;t yet know what to do with 10 gigabyte service, which requires the addition of upgraded modems for most computers to even use the faster connections. "But if history has shown anything with computers it is that if you offer a new and better technology people find a way to use it," he says. "Gig city is about providing the platform for a whole new generation of businesses to develop and grow." 2015 distinction: With foreign purchases completed early in the year, Lorberbaum builds Mohawk Industries into the undisputed leader in floorcoverings with multi-billion-dollar sales in carpet, ceramic tile and laminated floors around the globe. Jeff Lorberbaum, CEO of Mohawk Industries, ends 2015 a giant among his peers in the flooring industry. He led the world&apos;s largest flooring maker to record profits this year and saw Mohawk stock steadily gain value, as the company reached nearly $14 million in market capital, more than four times the company&apos;s value only four years ago. This year, Mohawk completed its $1.2 billion purchase of Belgium flooring giant IVC Group in January and bought Bulgaria ceramic tile producer KAI Group or more than $208 million in April. The purchases helped cement Mohawk&apos;s place in the European flooring market, making the Calhoun, Georgia-based company a flooring force across two hemispheres. Lorberbaum&apos;s father Alan founded Aladdin Mills in 1957 as a maker of bath mats, which Mohawk acquired in 1994. Jeff Lorberbaum became Mohawk CEO in 2001 and broadened the business into hard surface flooring. Mohawk also introduced modular carpet covering lines, which have risen in popularity in the commercial flooring segment. Under Lorberbaum, Mohawk saw domestic residential and commercial construction crescendo in the early- and mid-2000s, bringing increased demand for flooring with it. But Lorberbaum also guided the company through the dismal years that followed as construction slowed through the end of 2009 and 2010 at the height of the Great Recession. Mohawk&apos;s net income grew 54 percent in 2014 and is on pace to do even better in 2015, helping to boost the company&apos;s stock by more than 20 percent this year. With a nearly 15 percent take in Mohawk, the 61-year-old Lorberbaum has been well rewarded for his success in Calhoun. Forbes magazine estimates Lorberbaum is worth nearly $2 billion, making him the richest man in Chattanooga. 2015 distinction: As one of Chattanooga&apos;s biggest commercial building contractors, she helped bring a handful of new, food-only Walmart Neighborhood Markets to Chattanooga during a year of upheaval in the local grocery market. 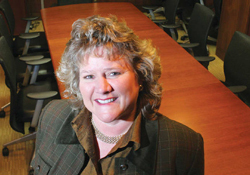 Karen Hutton, CEO of The Hutton Company, was the queen of commercial development in the greater-Chattanooga area in 2015. In a year that saw Wal-Mart make aggressive investments in the region by bringing its Neighborhood Market line to town, The Hutton Co. scored big and won the lion&apos;s share of local Wal-Mart construction contracts. Founded by Hutton in 1998, The Hutton Company has completed 890 projects in 35 states, and the company is behind 977 projects, and counting. Hutton builds more than 80 projects annually. The company is licensed to build in 44 states. The company weathered the Great Recession well, picking up big-name corporate clients like Family Dollar, O&apos;Reilly Auto Parts, AutoZone and Tractor Supply Co. that kept workers busy. Polestar Development, a subsidiary of The Hutton Company, has built smaller-footprint Neighborhood Market stores all over the Southeast, and dominated when it came to building them in the company&apos;s own backyard. In 2015, Polestar built Neighborhood Markets in East Ridge, Middle Valley, Brainerd and East Brainerd. 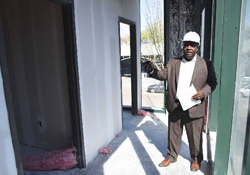 The Hutton Co. handled the construction of a Neighborhood Market this year in Dalton, also. The Hutton Co. employs more than 170 employees across its various services, which include real estate, development, construction and property and asset management. 2015 distinction: Adam Kinsey took over the top job at the Chattanooga Choo Choo from his father, former Mayor Jon Kinsey, and began revamping the facility into a major music, food and housing complex. Adam Kinsey, president of Choo Choo Partners LP, assumed the top post this year at the managing firm of the revived Southside Chattanooga icon, the Chattanooga Choo Choo. Kinsey had helped manage the property for years prior to his appointment as president. Right out of high school, he worked the hotel&apos;s front desk. 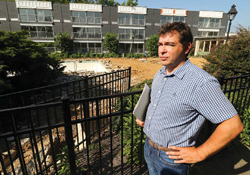 His father, former Chattanooga Mayor Jon Kinsey, co-owns the property. The younger Kinsey took over as president at the Choo Choo in June as the former railroad depot began a dramatic, $8 million transition from a landmark, overnight hotel to an entertainment hot-spot and apartment complex. At the end of summer, the Choo Choo opened 97 new, small-footprint apartments, repurposed in Building One from existing hotel rooms. New Market-Street facing restaurants Sam&apos;s Sports Grill and Blue Fish Oyster Bar are set to open soon in the hotel&apos;s lobby, and a new, 500-person music venue will join the existing Track 29 venue — a successful project Kinsey championed. The Comedy Catch, a well-known and long-established Brainerd stand-up comedy venue, moved into the Choo Choo earlier this year. All the moving parts and investments by Choo Choo Partners are aimed at making the Chattanooga Choo Choo the epicenter of a new downtown entertainment district, and the destination that it once was. When the position of president was bestowed upon Kinsey, Choo Choo Partners Co-owner Frank Fowler said it was Kinsey&apos;s foresight, vision and energy throughout the legacy downtown hotel&apos;s transition that made the decision an easy one. Under Kinsey&apos;s guidance, the Choo Choo is poised to complement the Tennessee Aquarium as an entertainment and tourist bookend in downtown Chattanooga. 2015 Distinction: Laid groundwork for a national network of technology and learning centers focused on youth. Cordell Carter, a graduate of the University of Notre Dame law school and a leading thinker in STEM (science, technology, engineering and math) fields, took center stage in 2015 as the CEO of TechTown Global, an emerging Chattanooga-based company hoping to build a network of centers to teach children and teens about technology and entrepreneurship. Before taking the top spot at TechTown Global, Carter was director of the Office of President and Chief of Staff of the Bill and Melinda Gates foundation. He is considered a national leader in the fields of workforce policy and strategy, and has been active with STEM organizations and educational products companies. While working for the Business Roundtable, an association of American CEOs, he was instrumental in helping to push Congress to pass cyber security legislation. Carter has also worked as a consultant for IBM and Deloitte. As president of TechTown Global, Cater oversees the incubation and growth of a series of TechTown Centers, including the first such center which opened in Chattanooga in 2015. The center, on Market Street, is expected to host up to 400 people at a time, mostly young people who will be taught such high-tech skills as computer coding and robotics. In 2016, TechTown reportedly hopes to open centers in Seattle; Norfolk, Virginia; New Orleans; Chicago and Washington, D.C. 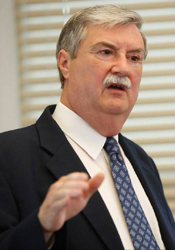 Besides his law degree from Notre Dame, Carter has a master&apos;s degree in public policy and management studies from Canegie Mellon University and a bachelor&apos;s degree from the University of Washington. 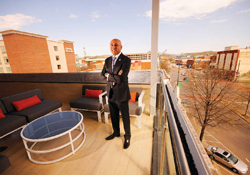 2015 distinction: Patel started building — and branding The Edwin, a boutique hotel under construction in downtown Chattanooga near the south end of the Walnut Street pedestrian bridge. Since Mitch Patel launched his Vision Hospitality Corp., in 1997, the hotel development and management firm has built 32 hotels and has another 11 in the pipeline. But the most unique of the Vision properties is being built just a few blocks from the company&apos;s downtown Chattanooga headquarters — a 90-room boutique hotel known as The Edwin located at the south end of the Walnut Street pedestrian bridge. The name is a nod to Edwin Thacher, the engineer who designed the bridge that carried traffic over the Tennessee River from the 1890s to 1979, when it was closed for about a decade and was eyed for demolition. The community rallied, and the 2,376-foot-long span was reborn as one of the world&apos;s longest pedestrian-only bridges, beloved by residents and visitors. "To me, it&apos;s a tribute to the Chattanooga can-do attitude," Patel says. Like a bridge, the hotel will connect visitors with Chattanooga&apos;s history, culture, and outdoor opportunities, Patel said. It will celebrate the city, he said, including through 50 art works commissioned by local artists and locally-sourced bread and coffee. Patel feels a personal connection with Edwin Thacher, since Patel worked for three years as a civil engineer in Atlanta before joining the Vision Hospitality Group, which can trace its roots to the mom-and-pop hotel business that Patel&apos;s family ran. "I literally was a bridge builder," he says. "I designed bridges." 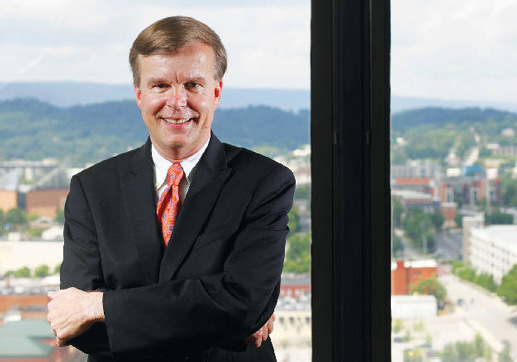 Vision Hospitality group owns nine hotels in the Chattanooga area, including four downtown where it built its corporate headquarters in 2014. The Edwin is the first hotel brand launched by the Vision Group, which owns existing hotel franchises such as the Hampton Inn, Fairfield Inn and Suites and Doubletree. "I am most excited about The Edwin of all the hotels we have in the pipeline," Patel says. "To do something in our own backyard means a lot." 2015 distinction: The business incubator Foster directs is the third largest facility of its kind in the country and this year added both a new internship program with area businesses and began work on possibly adding a local office for tech transfer from the Oak Ridge National Laboratory. Kathryn Foster joined the Chattanooga Area Chamber of Commerce in 2005 recruiting and helping Chamber members, but she soon shifted her focus two years later to helping grow new businesses at Hamilton County&apos;s small business incubator. The 125,000-square-foot, county-owned incubator has graduated more than 500 businesses in the 25 years since the Cherokee Boulevard facility was created. It typically has more than 70 businesses and a waiting list. The incubator has grown into the biggest in Tennessee — the third largest incubator in all of America — and a key part of Chattanooga&apos;s growing innovation economy. The incubator offers below-market building rates for companies and it offers startup businesses access to seminars, help with business plans, accounting setup services and one-on-one counseling and advice. The Tennessee Small Business Development Center has an office in the building to run classes, answer questions and help companies. Earlier this year, UTC joined with the center, Chattanooga State Community College and the Chamber to support a new internship program along with the companies in the business incubator. Students are taking part in research projects and other activities. Foster also is working to nurture more links between the companies in the center and Oak Ridge National Laboratory, including a potential office for the lab in the city. "Historically, it&apos;s too expensive for small businesses to work with Oak Ridge," she says, adding the state is providing funding to help companies work with the lab. Having better links with ORNL would be "a game-changer," Foster says about the U.S. Department of Energy lab just 90 miles from the city.